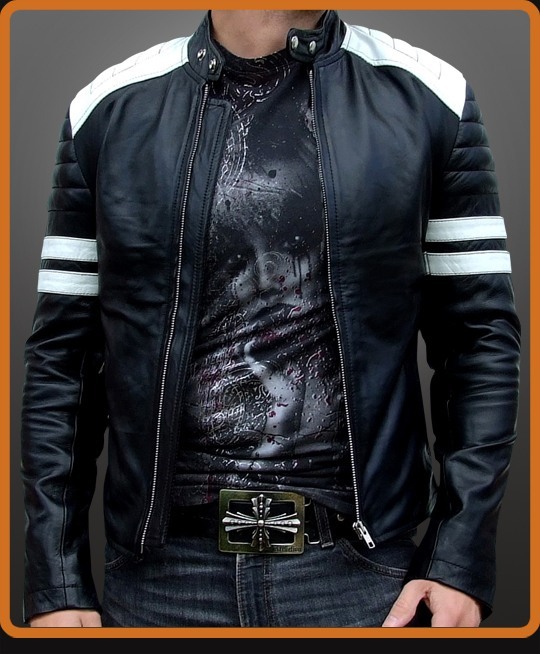 Men’s leather biker jacket replica from the Fight Club movie. Inspired by Tyler Durden character portrayed by Brad Pitt. Biker styling features straight zip front, ribbed sleeves and white shoulder sections with matching arm stripes. Motorcycle style collar and cuff zips. We know a good look when we see it. Available in Red with White or Black with White. This is for catalog purposes only.